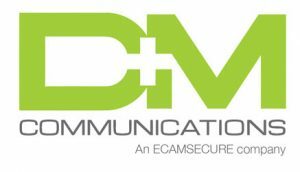 With over 25 years of experience, D & M Communications, Inc. is one of the largest and most experienced riser management companies in the country. We provide telecom riser management services and solutions to the commercial real estate industry and we take care of everything from inception to completion. Based on a business’ particular needs, we design, install, and maintain the telecomm infrastructure. Our hands-on approach ensures secure, safe, and code compliant riser systems. If you have an older telecom riser, D & M Communications, Inc. can also make sure your system is in optimal condition. We will gladly evaluate and recommend telecom services and providers to tenants of your real estate property. In addition to telecom riser management, D & M Communications, Inc. offers rooftop management services. Such services allow property owners to maintain control of property rooftops and even provide opportunities for increased revenue. In order to offer our customers the best of the best, D & M Communications, Inc. constantly stays ahead of the curve in all the technologies we use. We offer digital riser audits and online reporting, enabling you to access vital information about your property’s infrastructure with the click of a button. Access to this type of information allows your team to quickly make relevant business decisions regarding various factors such as tenant expansions, new tenants or tenants vacating the property. While this software is a great resource for you to make immediate decisions, it’s also a great sales tool. The information pulled can be provided to potential customers to help them make informed decisions about their future investments. All the technology services we have to offer combined with our friendly and knowledgeable staff, makes us here at D & M Communications, Inc. your one stop shop for your technology needs.